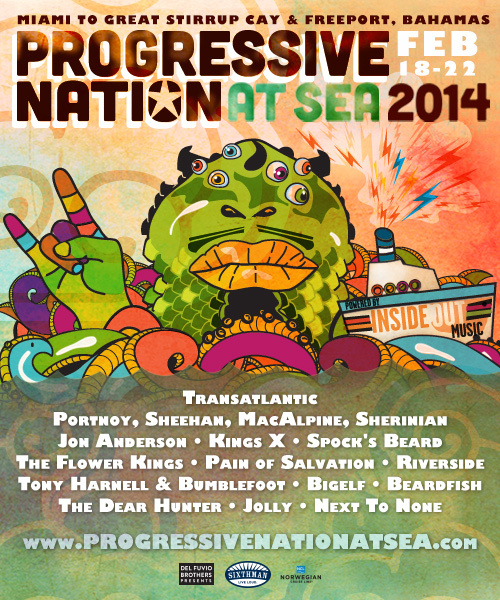 InsideOut Music has teamed up with Mike Portnoy, Derek Sherinian & Sixthman to bring Progressive Nation to the high seas in 2014! Join us in this inaugural sailing from February 18th – 22nd 2014 on the luxurious Norwegian Pearl heading from Miami to Great Stirrup Cay and Freeport, Bahamas. This music festival at sea gives you an experience that a land festival just can’t match. In addition to 4 days in the beautiful Caribbean and all the amenities of a cruise ship; you will enjoy music from morning ’til night with over 40 shows on multiple stages, along with activities, Q&A’s, panels and workshops from your favorite artists.